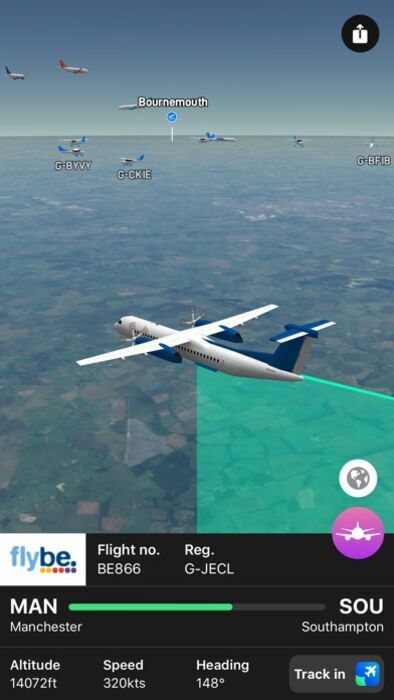 Plane Finder 3D tracks flights live around the world in 3D airspace. 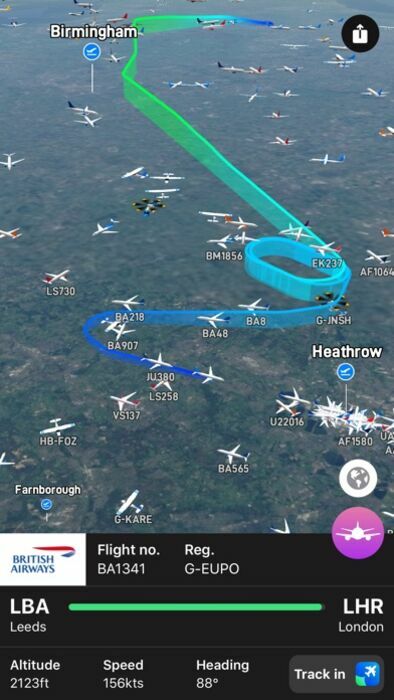 A brand new way to view live air traffic, it’s fascinating to watch real time travel patterns around the world. Why not watch the planes stacking up to land at your favourite airport, or see planes “follow the sun” across the Atlantic. What time do different countries and continents come alive? Once you’ve found some interesting air space, use the ARKit feature to bring the planes right into your living room! Simply spin the globe and zoom in to find something interesting to explore. If you’re looking for a specific flight, just type the flight number into search. Or type a place or airport into search to zoom straight there. Tap on a plane to see Departure and Arrival Airports, Flight Number, Registration and Airline as well as Altitude, Speed and Heading. With another tap you can even join a plane in flight and whiz around it for some stunning aerial views. Share your screenshots with friends and family, maybe your flight passing over your home? Already a Plane Finder user? 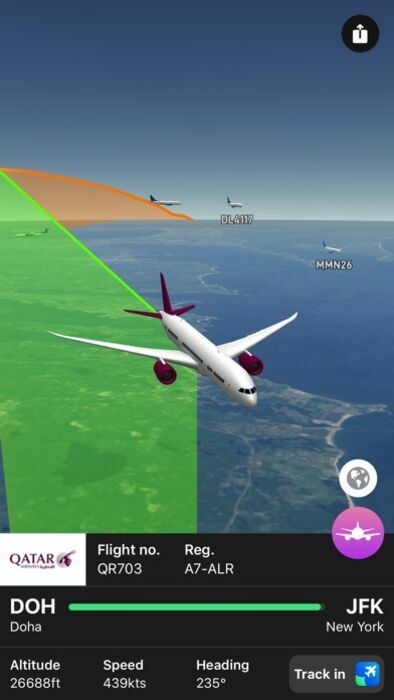 Tap on a plane and there’s a handy button to switch into the main Plane Finder app straight to the same plane on a traditional map where you can drill down into all the extra data we know you love. 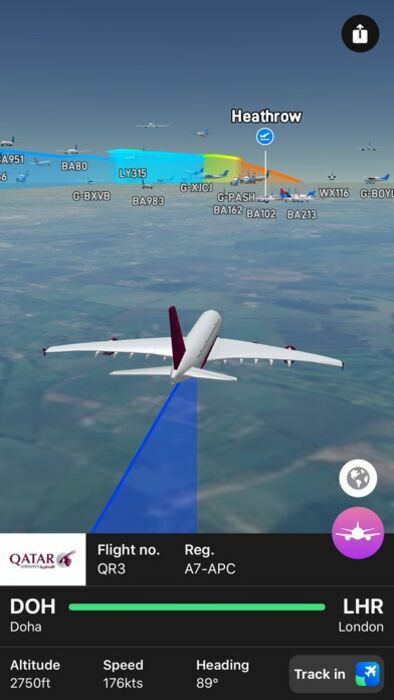 Plane Finder 3D uses the same trusted flight tracking data that powers Plane Finder, the original live plane tracking app top ranking since 2009. 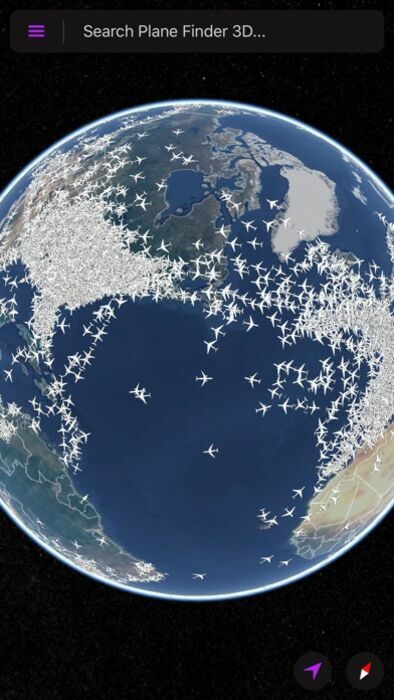 With NO SUBSCRIPTION fees to pay, Plane Finder is a trusted source of global flight tracking information to both the enthusiast and professional aviation community. We use our own worldwide bespoke flight tracking network that we are constantly growing and evolving to provide the best possible flight tracking experience. We pride ourselves on the accuracy of our tracking data and apply rigorous data quality checks throughout our systems. 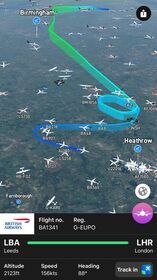 Plane Finder has been featured by Gizmodo, CNN, GMA, BBC, Sunday Times, Mail on Sunday, CNET, Wired, GQ Magazine and many more. Plane Finder is regularly updated with innovative new features and our support team always listen to and reply to feedback.